Plurk uses OAuth to provide authorized access to its API. 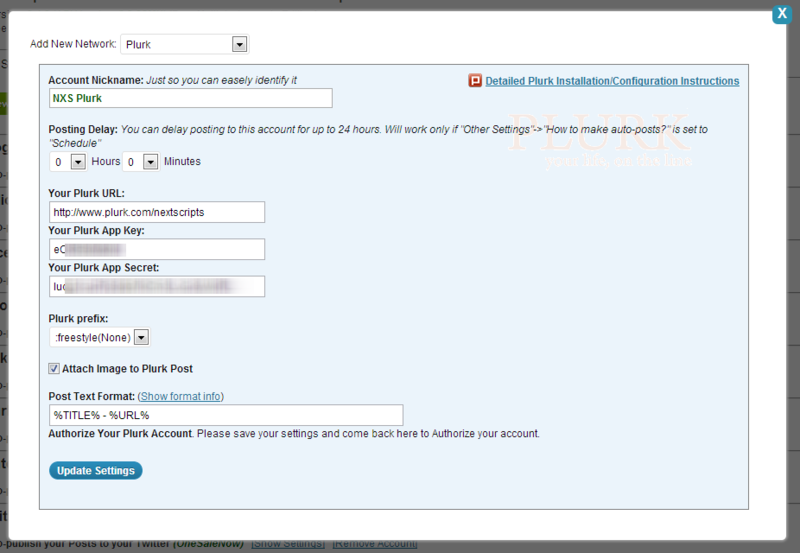 You need to create Plurk application and authorize it for your blog. 1. Create a Plurk App for your website. 1. Login to your Plurk account. 2. Go to the Developers website: http://www.plurk.com/PlurkApp/ Sign in if asked. 3. 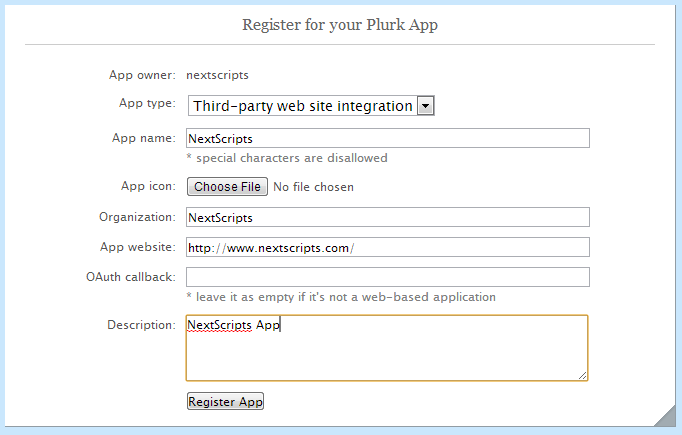 Click “Create an Plurk app” Button. Fill details, click “Register App”. 4. Click “Edit” button next to your new app. – Notice App key and App secret on this page. 2. Connect Plurk to your WordPress. 2. Click “Add New Account”, select Plurk from the dropdown list. 3. Fill your Plurk URL. 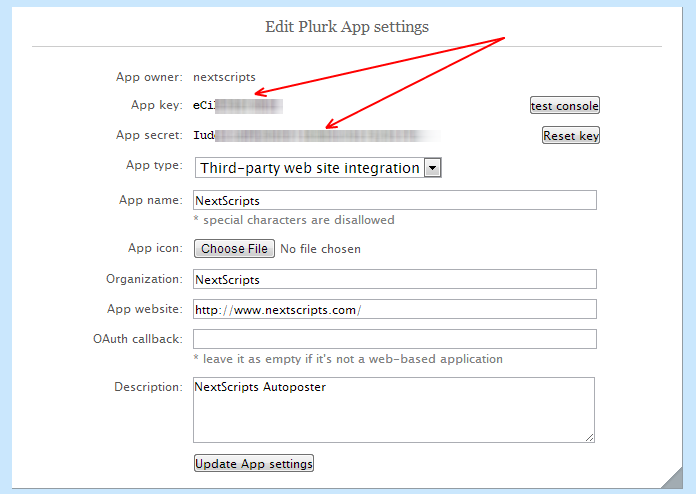 Fill Plurk App Key and App secret from step 1. 4. Choose default prefix and if you would like to add images. 8. Follow the Authoriziation Wizard. Click “Yes, Grant the Permission”. 9. Wizard will return you to the SNAP Settings page. Check your new Plurk account. It should say “Your Plurk Account has been authorized. Your display name: YYYYYYYYY”. 3. Your Plurk account is ready to use.